By excluding women from the peace table a lot of expertise goes to waste that could help resolve the conflict, says professor Najat Jumaan. Yemeni professor Najat Jumaan actively promotes women’s role in peacemaking. The war that has continued for over three years in Yemen, at the southern tip of the Arabian Peninsula, has led to the world’s worst humanitarian crisis. “It’s very painful to follow the collapse of your own country. Which is why every Yemeni should work their hardest for peace”, says Yemeni professor Najat Jumaan. Jumaan, who works as a professor for the faculty of economics and commerce at Sana’a University, felt more hopeful about her country’s future just a few years ago. Before the war, Jumaan was involved as a private sector representative of the national dialogue to the well-known peace process. It was then, for the first time, that Yemenis were able to engage in genuine dialogue on the most important issues facing the country and to seek solutions that would be acceptable to all the country’s main groups. Women took part in the national dialogue en masse. “My sisters and I and combined our strength and drove the improvement of the position of women at different levels of society,” recalls Jumaan. In the national dialogue women won approval for the quota whereby 30% of places in all political decision-making should be reserved for women. “Women’s participation in decision-making is an important factor for preventing war”, explains Jumaan. 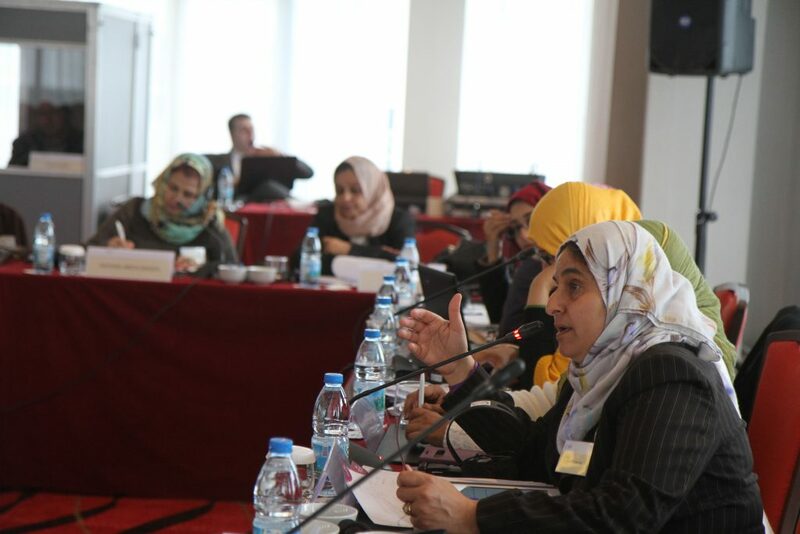 CMI was involved in supporting women’s participation in the national dialogue. But the national dialogue failed in part. Some of the country’s groups did not join in. And part of the approach of the national dialogue sidelined the views of key groups. The country’s deteriorating living conditions as the peace process dragged on were also generated frustration. Obstacles in the peace process increased tensions between the political groups. These tensions became exacerbated and eventually led to war. The national dialogue did, however, prompt Jumaan to become committed to peace work. She is, among other things, at present part of the group of Yemeni women leaders supported by the United Nations gender equality agency UN Women, which aims to get the voice of women heard in the negotiations to end the current war. Jumaan sees two pressing reasons why there should be space for women at the peace table. First, women are, she believes, more peaceful than men. Second, when women are excluded from the peace table, a lot of expertise goes to waste that could help in resolving the conflict. Jumaan believes that international organisations, such as the UN, have a central role to play in improving the scope for women’s participation. She says that the UN can persuade the parties to the war about the importance of the role of women and teach women conflict resolution skills. Jumaan also considers CMI as an expert that can improve women’s prowess in peace mediation. Despite the difficult situation, there are signs in Yemen that attitudes towards women are becoming more positive.